The wonderful people at HARTS OF STUR recently sent me a set of 2 ramekins from the new QUICK RECIPE range of cookware. I had never heard of this range before so I was curious to see what was so special about them. I was so impressed, I just have to tell you about them. 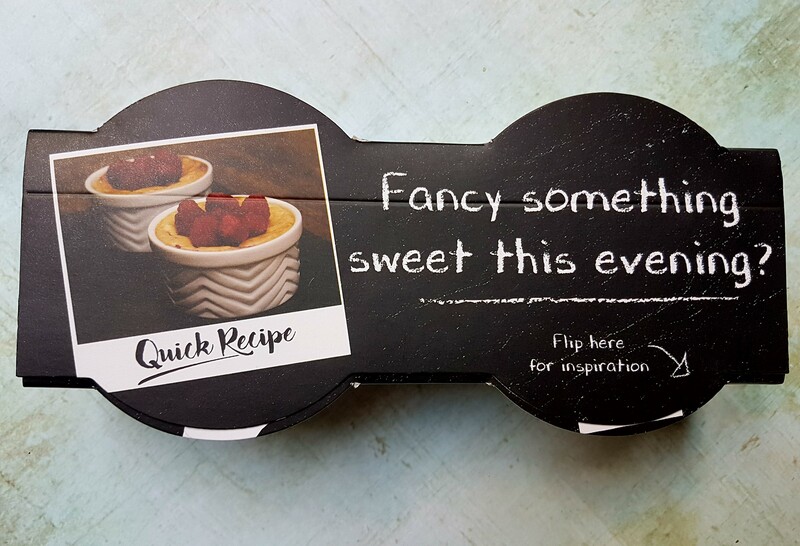 The Quick Recipe range includes lidded casserole dishes, various sized and shaped roasters, and these ramekins. Each item in the range also includes recipes created specifically for that item, so that the ingredient quantities are the exact amount you need. What makes these different from any other though is that the recipes are obtained by scanning a QR code which is on the bottom of each item! 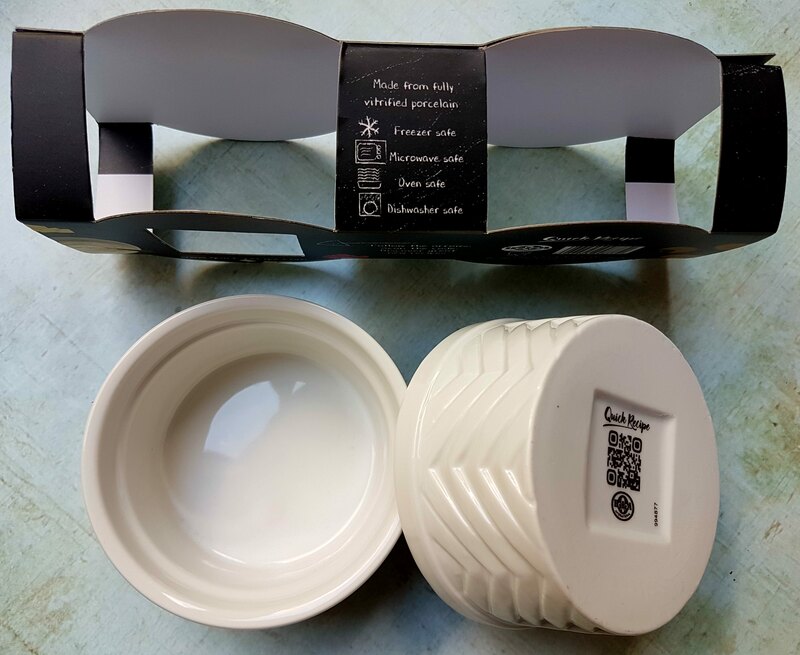 The ramekins (and the rest of the range) are made from fully vitrified porcelain, making them freezer, microwave, oven, and dishwasher safe. They have a pretty herringbone style design on the outside which looks so stylish that they are perfect to go straight from oven to table. They are very strong and you can tell they are really good quality. I decided to scan the code and see what recipes I could make in my ramekins. 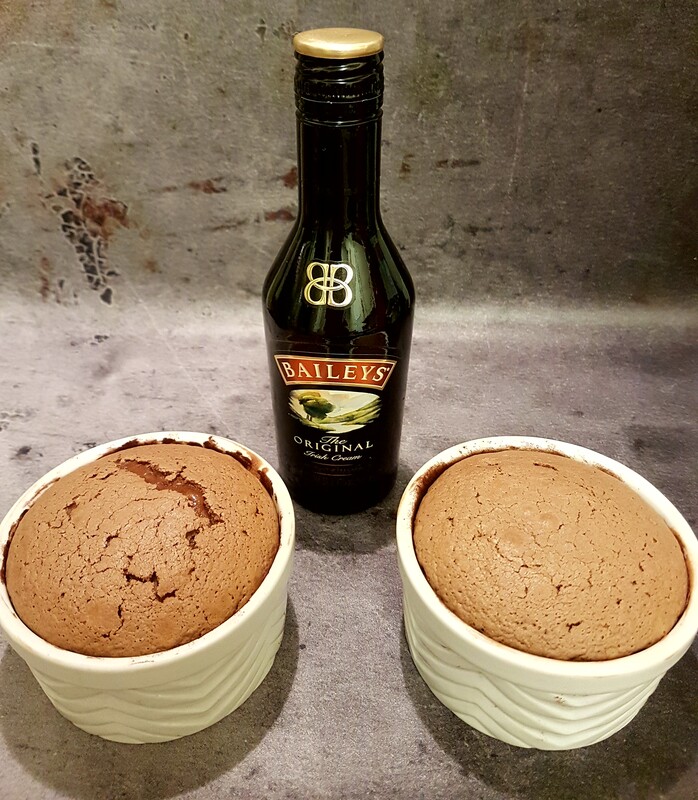 Although the others looked amazing, I absolutely love Baileys so was excited to see a recipe for Dark Chocolate and Baileys Fondants. I checked the ingredient checklist and was happy to see I could tick them all off (yes you can actually tick them off on the list). The recipe tells you how long you will need to get the preparation done (in this case 25 minutes), and how long it will take to cook (10 minutes). I like that detail, as it lets you ensure you have enough time before you begin. So many times I have found a recipe but the preparation has taken so long I’ve barely had enough time to get it all done. This takes the guesswork out of that. There is also a handy video to watch on each recipe showing you how to make them, so you know you are doing it correctly. It actually took me less than the 25 minutes so in less than half an hour I had 2 piping hot desserts which were sheer indulgence. The outside was a beautiful chocolate sponge and the middle was molten chocolate with a heavenly Baileys taste. 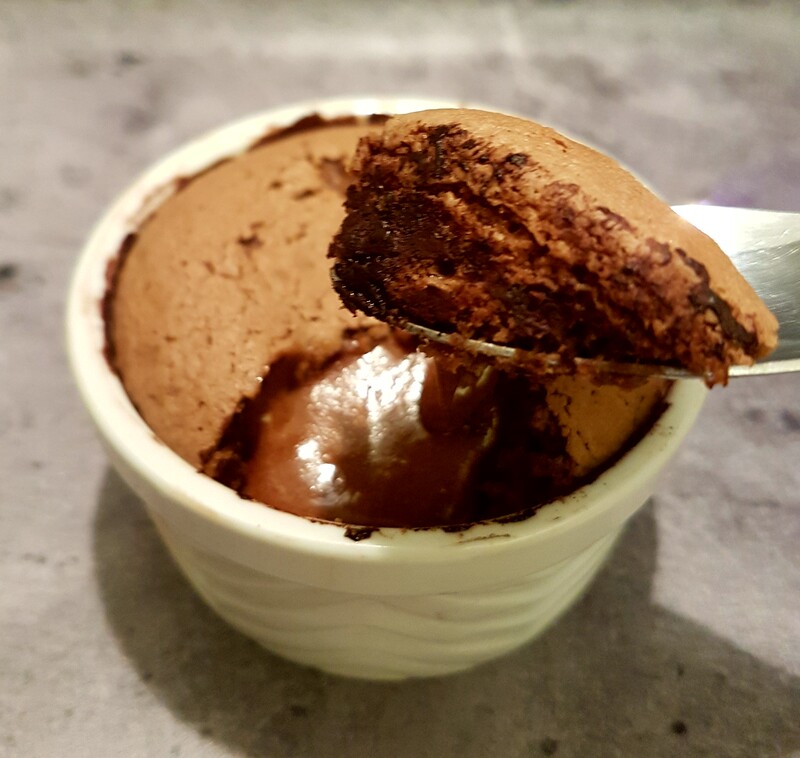 It is one of those desserts that you just can’t help but close your eyes as you take the first mouthful so you can just enjoy the flavour and gooey texture. If you are making a romantic meal for someone, THIS is definitely the dessert you need. I have discovered over time that not all ramekins are the same size, so a recipe that might be good for some ramekins might not be good for others. It is good to know that the recipes found by scanning the code are EXACTLY right for these. As you can see from the above photo, the fondants rose to fit the ramekins absolutely perfectly. No overflow, no gap at the top. That is what sets this range apart from any others. I also love the fact that the recipes are for 2 ramekins. Obviously if you buy 2 sets you just double the quantities. So many times though I have wanted to make a scrumptious dessert for me and my partner, while my son has wanted something completely different. I have found wonderful sounding recipes but they are all for 4, 6 or even 8 ramekins. So you think that’s ok, I’ll just halve the ingredients. And then you see the dreaded egg quantity. For example, the recipe needs 3 eggs for a 4 ramekin dessert. Straight away that recipe has to be abandoned as you obviously can’t halve an egg. These Quick Recipes take all the hassle out of converting recipes to make just two. They really are perfect for busy lifestyles. If you would like to buy these ramekins they cost just £6.95 and are available HERE from Harts of Stur. DISCLAIMER: I was sent the ramekins at no cost in exchange for a review. This in no way affects my opinions. I will not ever recommend products or services I don’t personally like, so if I put a review on my blog, it means I really genuinely like the product. All views are my own honest opinions.